On Wednesday night, I had the privilege to attend the Studio System News Screening Series 2014 of “Shameless” at the Landmark Theater in West Los Angeles. The event consisted of a screening of the season four finale episode, followed by a question and answer session attended by Emmy Rossum & William H. Macy. 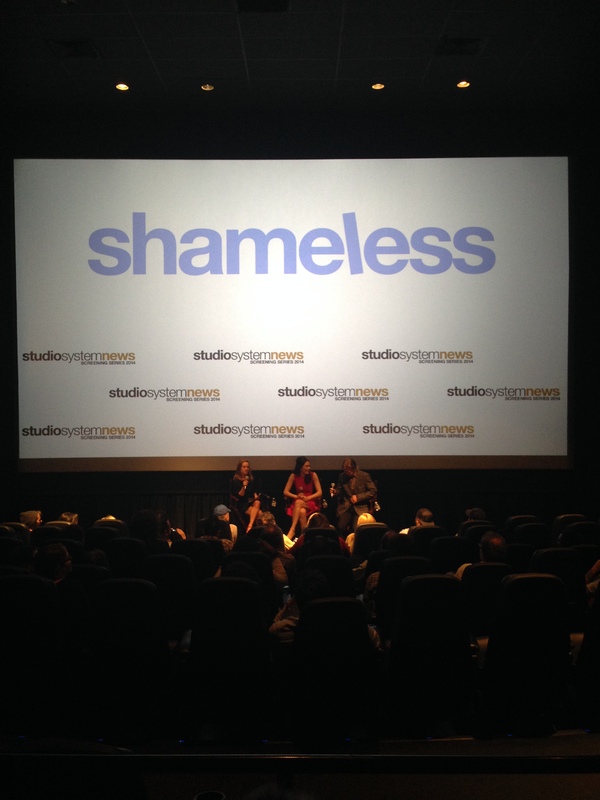 Watching “Shameless” on a large movie screen was an amazing experience, one that I wish everyone fan could experience. It adds so much more depth and makes our beloved show feel that much more unique. 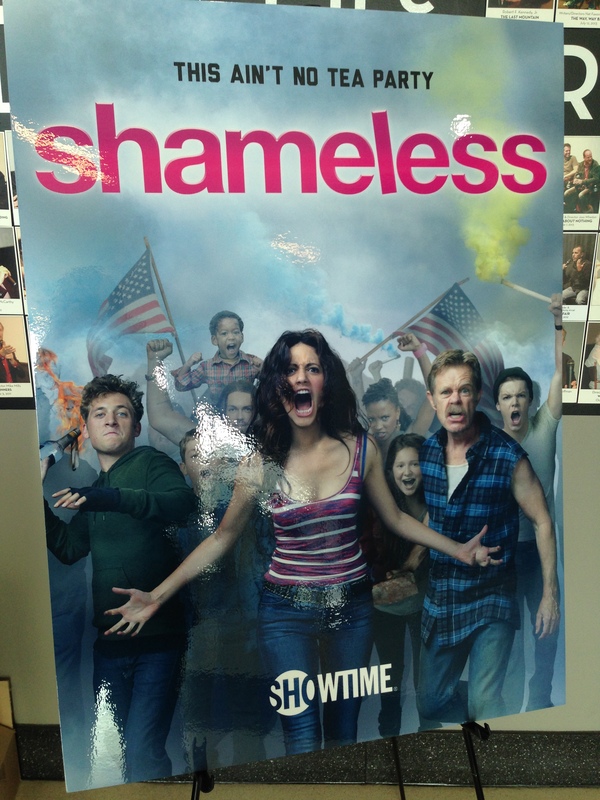 Having watched the show since 2011 and seeing how evolved the characters have become, for better or worse, made watching Shameless on the big screen feel even more special. I have not watched the season finale in over a month and hearing the audience reactions to episode was fun. They laughed and reacted in the right moments, which really reinforces the show runners’ decision to switch to the comedy category for Emmy consideration. Even at its darkest hour, the show is very funny and it balances out the dark so that viewers are not consumed by the heaviness of it all. -Sheila looses her house in season five and will move in the Gallaghers. Emmy said that the house gets really crowded. They have been in the writer’s room and got a sneak at some of the ideas for next season. I asked Emmy a question regarding the scene between her and Noel in the season finale. She praised Noel and said it was great to work with someone who gives so much back when working together in a scene. The full question and answer will be in the video. I was extremely nervous and might have said Gallavich instead of Gallagher (my fangirl was definitely showing). Attendees were given a “Shameless” bottle opener on their way out of the theater. I am a sucker for merch, especially “Shameless” merch, and the organizers probably thought I was way too excited about the bottle opener. On my way out I got to speak to Emmy for a bit. She’s so easy going and really sweet. She autographed my “Shameless” DVD and also posed for a photo with me. I of course handed her an official “Noel Fisher Fans” key chain. Could I put these pictures of Emmy at the screening in my fansite’s (http://emmy-r.net) gallery, with proper credit of course?